Every year, thousands of people are killed or seriously injured as a result of preventable surgical errors. While surgery always comes with some inherent risk, it should not come with a mistake. Experts estimate that over 100,000 people are injured or killed each year in the United States as the result of a medical error. While a medical error can occur under a wide variety of circumstances, surgical errors are among the most common. 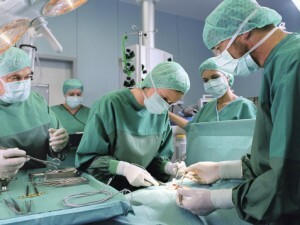 In fact, a study conducted by the Journal of the American Medical Association (JAMA) looked at paid medical malpractice claims from 2005 through 2009 and concluded that surgical errors accounted for 34 percent of all medical errors each year, making them the most common basis for a medical malpractice claim. Wrong site surgery — For example, a surgeon was supposed to operate on a patient’s left arm, but operated on the right arm instead. Wrong patient surgery — A mix-up causes a surgeon to operate on the wrong patient. Medication error — Providing the wrong type of drugs or the wrong dose before, during or after surgery, for instance. Foreign object left in body — This could include a surgical instrument, glove, sponge or any other foreign object that should not be left inside the patient’s body after surgery. Unnecessary surgery — For example, if a patient did not need surgery or did not need such an extensive or invasive surgery. Infection — Whether because of the use of non-sterile instruments, failure to properly wash up prior to surgery or another cause, a patient could suffer from a serious infection after surgery. Puncture of organ — An error during surgery can result in the puncture of an internal organ or artery, which could lead to serious, even life-threatening, bleeding or other damage. Delayed surgery — If a surgeon or other physician unnecessarily delays a surgery, the patient could suffer long-term consequences. Prolonged surgery — Every second that a patient is under anesthesia carries a certain degree of risk. A surgery that is unnecessarily long could increase that risk for the patient. Improper incision — An incision that is too long, too deep or otherwise not performed properly could amount to a surgical error. Failure to advise of risks — A patient must be advised of all known risks prior to consenting to surgery. Failure to obtain informed consent could be considered a surgical error. A surgical error can result in a number of extremely negative consequences for the victim and his or her family. What Compensation Is Available for Injuries Caused by a Surgical Error? A patient who is injured as a result of a surgical error in Texas may be entitled to both economic and non-economic damages. Likewise, the surviving family members of someone who is fatally injured as a result of a surgical error may be entitled to compensation in a wrongful death lawsuit. Economic damages are things such as the cost of additional medical treatment to repair the damage done by the surgical error and lost earnings resulting from the surgical error. Non-economic damages are what most people know as “pain and suffering,” and are intended to compensate the victim for the emotional trauma caused by the surgical error. In Texas, there are damage caps that may limit the amount of compensation that can be awarded. The relevant damage cap will depend on factors such as the type of injuries and the number and type of defendants. If you believe that a surgical error caused you to suffer injuries or caused the loss of a loved one, you may be entitled to compensation for those injuries or your loss. Although the law provides a mechanism to compensate victims of surgical errors, the law also limits the amount of time within which a victim must file a lawsuit for compensation. In order to preserve your right to compensation, talk to an experienced Texas surgical error attorney as soon as you suspect that an error was committed. Contact The Law Office of Kevin Krist today for your free, confidential claim evaluation by calling 281-677-3962 or by using our online contact form. We represent surgical error victims on a contingency fee basis, which means you pay no fees unless we recover compensation for you.